Westfield Old Orchard will be hosting its monthly WFamily program 11:30 a.m. to 12: 30 p.m. August 4. Can you believe summer is drawing to a close? 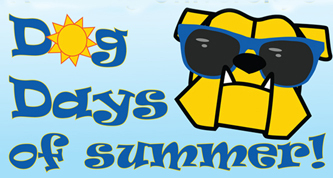 Come celebrate the Dog Days of summer with Westfield at Barnes & Noble where preschool aged children and their parents will enjoy a free story time and crafting session rejoicing all the best things about summer. Westfield has partnered with The Skokie Public Library to offer this free event series to Chicagoland families to promote learning through literacy and creativity. This event is complimentary and registration is not required. The Chicago Human Rhythm Project (CHRP) announces the establishment of the American Rhythm Center (ARC), a new initiative to provide a shared, affordable and sustainable education, rehearsal and administrative facility for several leading Chicago arts organizations. This new institution is located in renovated spaces at Chicago’s historic Fine Arts Building, 410 S. Michigan Avenue. CHRP will develop the ARC, a collaborative effort to foster community growth through rhythmic expression, in several phases. The aim is to offer diverse, high-quality dance and movement classes to the general public while centralizing the education programs, rehearsal space and administrative offices of several core groups, as well as additional emerging companies and independent artists. In the first phase of development, CHRP is updating space occupied for three decades by the Boitsov Ballet, which will feature three professional, flexible-use studios ranging in size from 750 to 1,500 square feet, as well as a remodeled lobby, dressing rooms and a separate floor of administrative offices. In the second and third phases, CHRP will add supplemental program space, a black box theater and updated administrative facilities. Limited operations will begin at the end of July in conjunction with CHRP’s 22nd annual Rhythm World Festival; a grand opening with all the partners will take place in early September. CHRP’s ARC has raised more than $1 million to date as part of a multi-phased $2.5 million capital start-up campaign. Jenner & Block LLP has provided pro bono legal support. Major funding for capital and start-up operations has been provided by Elaine Cohen and Arlen Rubin, The John D. and Catherine T. MacArthur Foundation, The Gaylord and Dorothy Donnelley Foundation, The Joyce Foundation and The Boeing Company, with additional support from Pamela Crutchfield, The Richard H. Driehaus Foundation, The MacArthur Fund for the Arts and Culture at Prince, Arts Work Fund for Organizational Development, the James. S. Kemper Foundation, the Illinois Arts Council, matching funds from the Polk Bros. Foundation through IFF, Jenner & Block LLP and many generous individuals. 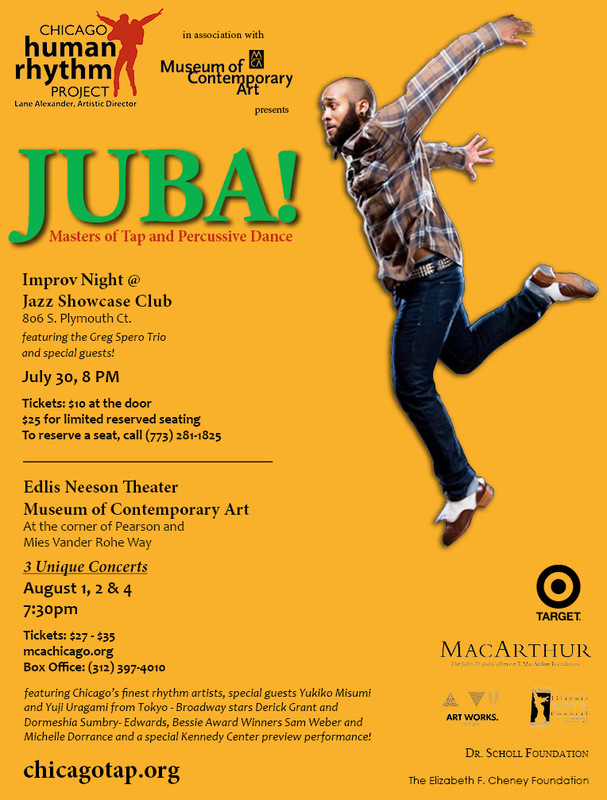 Chicago Human Rhythm Project (CHRP), in association with MCA Stage, presents JUBA! Masters of Tap and Percussive Dance, three distinct programs featuring a host of extraordinary foot drummers and percussive arts masters. Tickets go on saile Monday! You can purchase tickets here. JUBA! is the culminating event of Rhythm World, the oldest and most comprehensive summer festival of tap and percussive dance in the world. Aug 1: Solitary Soles & New WorksOpening night features solos by the masters and monsters of American tap including Lane Alexander, Dormeshia Sumbry-Edwards, Jason Janas, Derick K. Grant, Sam Weber, Yuji Uragami, and more. Program and performers subject to change. 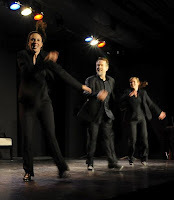 Tap dance is a global phenomenon with some of its greatest practitioners centered in Tokyo. Yukiko’s Misumi brilliantly recreates and re-imagines many American tap classics through her ARTN Tap Dance Company while Yuji Uragami has transformed the art form aesthetically and technically. These pace setters are joined by BAM!, FootworKINGZ, Jump Rhythm Jazz Project, MADD Rhythms, and more. Program and performers are subject to change. An evening of new works, new concepts, and new collaborations. This program will feature some of the tops in tap including Derick K. Grant, Dormeshia Sumbry-Edwards, Sam Weber, Michelle Dorrance, Jason Janas, Yuji Uragami, and more. Program and performers are subject to change. Westfield Old Orchard is looking forward to welcoming several new high end retailers to the shopping center this fall. Iconic retailer, Michael Kors will be opening at Westfield Old Orchard. Known for classic American design and sophisticated silhouettes, this high end retailer will bring to the shopping center luxurious women’s apparel, accessories and small leather goods. Michael Kors is expected to open this fall next to Ann Taylor. Engineering affordable electric cars since 2003, Telsa Motors will be opening a location at Westfield this fall near Nordstrom. Telsa values sustainable energy and is one of the leading manufacturers of electric cars in the United States. Rolex will be opening a boutique operated by the 3,500 square foot C.D. Peacock located next to Tiffany & Co. near Nordstrom. The world renowned timepiece crafter and the Chicago-based jeweler will have its grand opening this fall. Hugo Boss will be added to the list of Westfield Old Orchard’s luxury retailers this fall. The men’s and women’s designer, known for its sleek and stylish collections worldwide, will be opening in part of the old Akira space near Nordstrom. 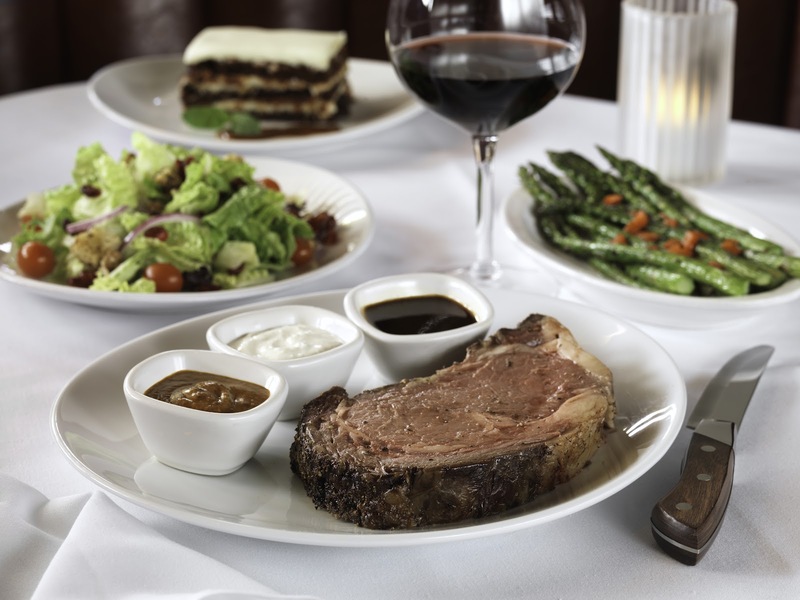 Fleming’s Prime Steakhouse & Wine Bar (960 Milwaukee Avenue, Lincolnshire, IL 60069; 847-793-0333) will host the “Under the Stars” Summer Wine Dinner 7 p.m. August 3. 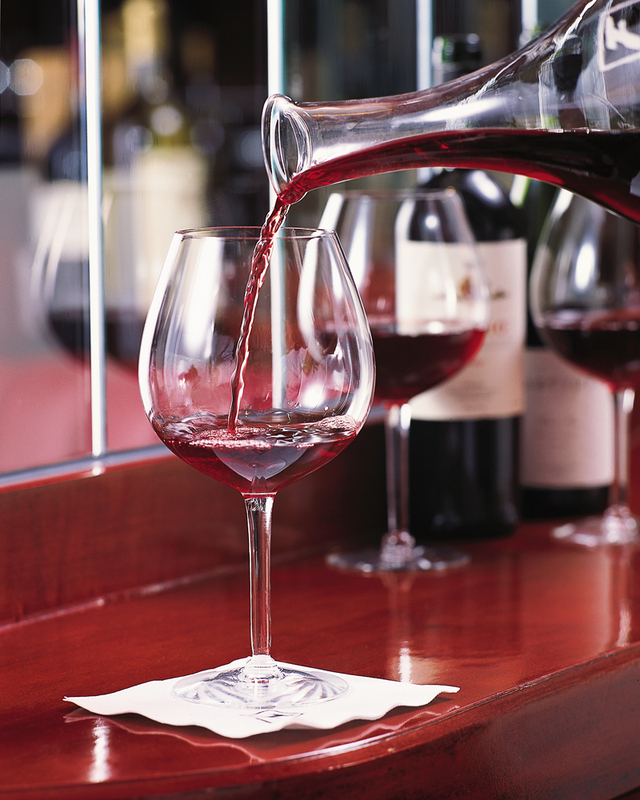 Guests will enjoy a special summer dinner featuring 90-point wines from Napa Valley and Washington State, paired with a five-course menu developed by Chef Partner, Roger Abuan. The meal will be served on the beautiful outdoor patio and guests will enjoy commentary by special guest speaker Kelley Joerns from Chateau Ste. Michelle. The cost is $100 per person, all inclusive. Please call 847-793-0333 for reservations. The meal will begin with an appetizer of Ceviche on Belgian Endive paired with DOMAINE STE. MICHELLE, Brut Columbia Valley NV. The following course will offer Tomato, Watermelon, Cucumber and Feta Salad which will be paired with CHATEAU STE. MICHELLE, Pinot Gris Columbia Valley, 2010 – 89 pts. Wine Spectator. The second course features Grilled Pork Tenderloin with balsamic and blackberry glaze and corn relish paired with NORTHSTAR, Merlot Columbia Valley, 2008 - 91 pts; Wine Enthusiast – 90 pts. Robert Parker. 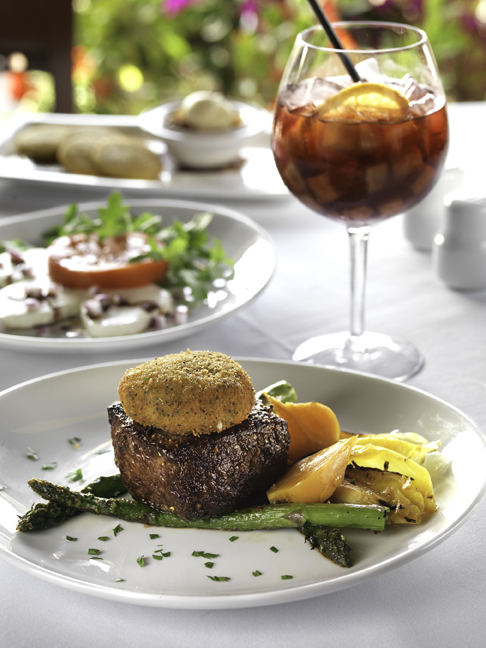 The next course served will be New York Strip with a grilled Portobello mushroom and will be served with STAG'S LEAP, Artemis Cabernet Sauvignon Napa Valley, 2009 – 90 pts. Robert Parker. Finally the dessert course will feature Cherry Raspberry Buckle paired with CONN CREEK, Anthology Napa Valley, 2007 - 90 pts. Wine Enthusiast. No need to be afraid of these creepy crawlers! 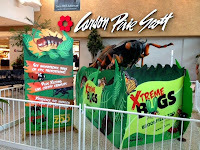 From July 24 to August 14, shoppers at Westfield Old Orchard (Skokie Boulevard & Old Orchard Road) can experience the invasion of Xtreme Bugs at the gigantic, state-of-the-art animatronic bug on display near Nordstrom. If you can’t get enough, Westfield will be offering two free admission passes to Brookfield Zoo, including two passes to see the Xtreme Bugs exhibit, to all shoppers who spend $200 or more on their shopping trip. 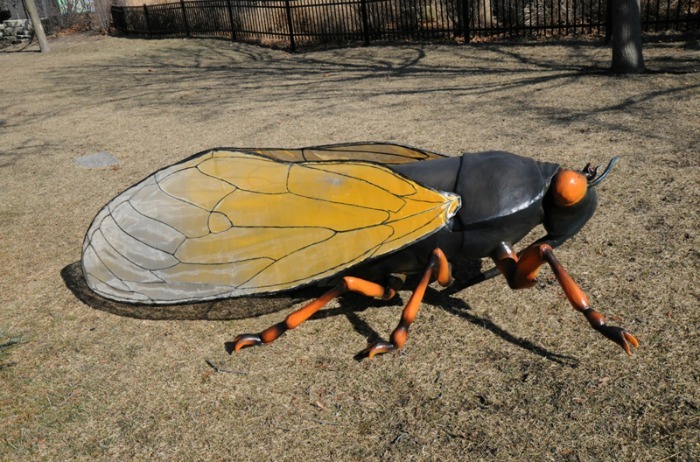 Bring the family back to Westfield’s Xtreme Bugs exhibit from noon to 2 p.m. August 4 for some hands-on fun, where kids will enjoy making crafts and receive giveaways by the Brookfield Zoo. 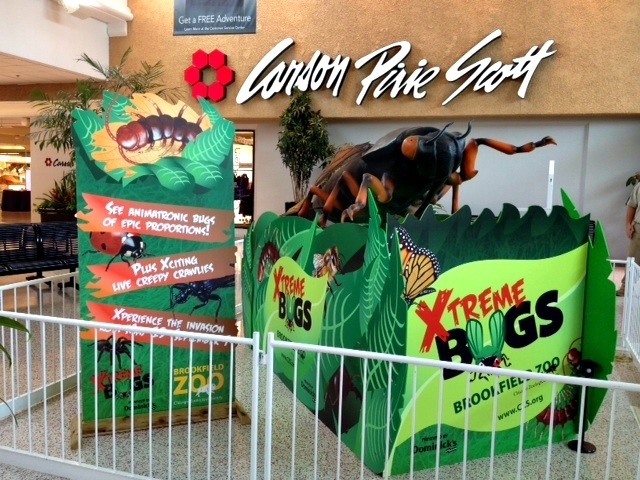 For more information on the Xtreme Bugs Brookfield Zoo giveaway, contact the Westfield Old Orchard Concierge at 847-673-6800. The fifth annual North Shore Festival of Art presented by Amdur Productions will once again return to Westfield Old Orchard. July 27-29 from 10 a.m. – 5 p.m., North Shore and other Chicagoland residents can come and enjoy the weekend long festival celebrating more than 150 of the country’s finest artists. Their one of a kind works will be featured throughout Westfield’s inner court of the shopping center and will showcase works constructed from an array of mediums that include ceramics, fiber, glass, jewelry, sculpture, mixed media, paintings, drawings, photography, printmaking, wood and furniture. The open-air exhibition will span throughout the center. Additional fun and prizes will complement the art festival as live music will be featured with performances from celebrated bands and musicians. Children will enjoy a train, crafting projects and more. To top things off, daily drawings will take place giving festival-goers the chance to receive “Art Buck$” to spend on a piece of art at any future 2012 Amdur Productions festival. 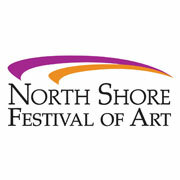 Admission and parking for the North Shore Festival of Art is complimentary. The Bastille Day Celebration at Chicago French Market kicks off tomorrow at 1 p.m. In addition to the French bubbly and performance by Greta Pope, market vendor Vanille Patisserie will be adding to the fun. Vanille is introducing two new entremets by Chef Dimitri Fayard , which will be available to enjoy during the celebration. 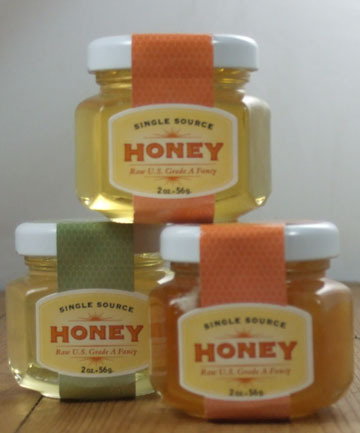 Enjoy them at the market or take a few home! 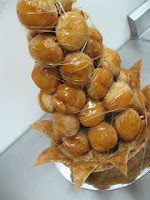 In addition to offering new menu items, Vanille Patisserie also will have a croquembouche on display and will be sampling mini cream puffs for patrons enjoy. For more information visit www.frenchmarketchicago.com. Sip, Shop SAVOR is Thursday, July 26. The second installment of the Westfield Summer Wine Series will get you on track to be the perfect summer hostess. With grilling season in full swing, participants will learn how to give the best barbeque on the block with cooking demos and decorating tips from industry professionals. Prizes and giveaways will be provided by participating Westfield retailers. Guests must be 21 and over to enjoy this complimentary event. Space is limited and registration is required. For more information and to RSVP, visit www.westfield.com/oldorchard. 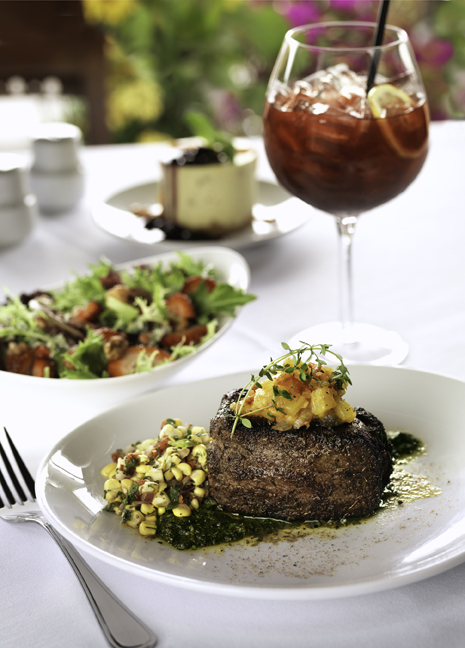 With long summer days rolling into warm summer nights, Fleming’s Prime Steakhouse & Wine Bar is celebrating summer with a series of Summer Lovin’ Steak & Sangria Prix Fixe dinners that will take guests on a culinary world tour. 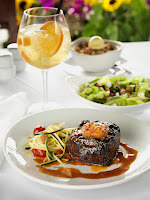 This summer menu series, offered July 2 through August 26, will introduce a new steak and sangria pairing every two weeks, each featuring an artfully inspired selection of fresh, seasonal ingredients and internationally inspired flavors. Every Summer Lovin’ Steak & Sangria menu features a summer salad, a uniquely seasoned specialty prime New York Strip Steak with a vibrant topping and a decadent dessert for $39.95*. Each menu also includes a suggested hand-crafted sangria pairing for $7.95*. 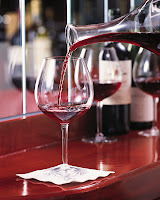 Guests visiting the bar or patio, will also have an opportunity to enjoy the series of refreshing, seasonal sangrias. Offer is available at both Fleming’s Chicago (25 E. Ohio St., Chicago, IL 60611 312-329-9463) and Fleming’s Lincolnshire (960 Milwaukee Ave. Lincolnshire, IL 60069 847-793-0333). For additional information visit www.flemingssteakhouse.com. *Excluding tax and gratuity. Sangrias are sold separately. Fleming’s abides by all local and state liquor laws. 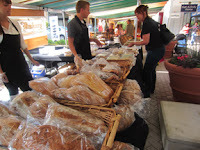 Chicago French Market is hosting its annual Bastille Day celebration Saturday, July 14 from 1 p.m. – 3 p.m. Grab your favorite French beret and come celebrate the French National Holiday. Bastille Day is celebrated in honor of the storming of the Bastille on July 14, 1789. It marked the start of the French Revolution, and ultimately the freedom of the French people with the beginning of a new form of modern government. 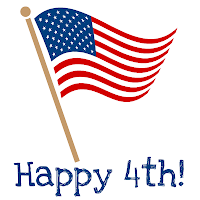 Chicago French Market is happy to celebrate this day of independence with everyone. This year, for the third time, the fabulous international entertainer, Greta Pope, will grace the stage performing several French cabaret and English favorites including C'est Si Bon, I Love Paris, and Mambo de Paris among others. She has delighted audiences around the world with her beautiful voice and musical styling. Also in honor of Bastille Day, Pastoral will be celebrating with a French inspired pairing; French Cheese & Wine. The Pastoral team will guide you through a free sampling of items from farms, orchards, vineyards and distilleries from France. Don’t miss out on the festivities! Come and sip on French bubbly in celebration, catch once in a lifetime performances and browse the market for delicious French delicacies. 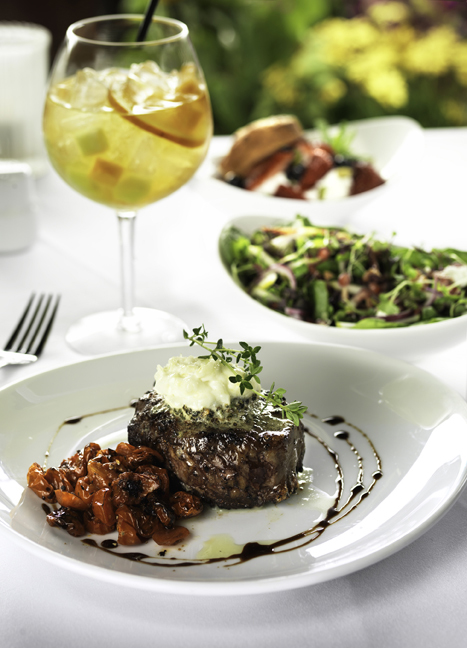 Check out this delicious steak recipe from Chicago French Market's Oh, Olive! just in time for 4h of July! If grilling is your game, try this Oh, Olive! recipe with our Chipotle extra virgin olive oil and Raspberry Balsamic vinegar. It’s great for steak! You’ll want left-over’s, but there probably won’t be any! Use the sauce as a barbecue sauce, marinade, a glaze, or a dip. Preparation: In a medium saucepan, heat Chipotle oil over medium-high heat. Add the onions and cook until soft and slightly caramelized, 6 minutes. Add the garlic to the pan and sauté for 1 minute. Add the chipotle chiles and cook, stirring continuously, for 1 minute. Add the raspberries and cook until soft, 2 to 3 minutes. Add the vinegar and stir to deglaze the pan. Add the sugar and salt, and bring to a boil. For a clear glaze, strain through a fine mesh strainer to extract as much liquid as possible. 1. Put the sauce in a Ziploc bag and marinate the steak (4-6) for 2 hours. Grill or broil as usual until done. 2. 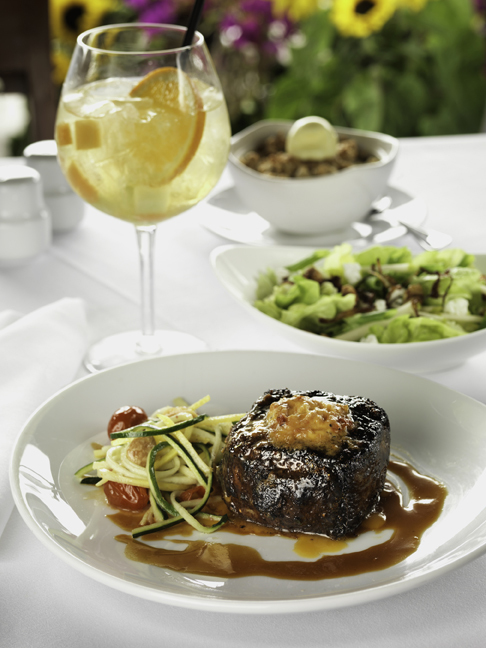 Grill or broil your steak until it is ¾ done, baste the steak the last 2-3 minutes until the sauce on top is bubbly. Folk musician Steve Justman joins the rush hour crowds from 4-7pm. Justman is a native Chicagoan and specializes in Americana music. He has performed in many of the best acoustic venues in the Chicago-area and is excited to return to the French Market! Annalee Hooson will be performing many of her original songs as well some easy listening cover songs. Break up your day and grab your coworker for this free Hump Day concert! You are invited to this year’s Bastille Day at The Chicago French Market. Enjoy the French National Day sipping French bubbly and stay for an enticing cabaret performances by the famed Greta Pope. Join us for LevelUp Week at Chicago French Market July 16-20! Pay with LevelUp at the Chicago French Market July 16-20 and get $10 off at any LevelUp business. LevelUp is the revolutionary way to pay with your phone and get rewarded all over Chicago. You can pay with LevelUp at over 300 businesses in Chicago, including a dozen in the Chicago French Market! During the week of July 16, get $10 off at LevelUp businesses when you pay with your smart phone! To redeem your $10, head to the Chicago French Market and scan one of our posters. Have questions? Ask the LevelUp staff members – who will be present at the market throughout the week. Stop in before your commute home and enjoy several original songs performed by Jenny Bienemann. Her lyrical song-work paired with jazz guitar creates a relaxing and wonderful concert experience. Make your lunch more enjoyable with The Chicago French Market’s free Lunch Hour Music concert. This time around Annalee Hooson will be performing cover songs as well as some originals. The Chicago French Market (131 N Clinton, 312-575-0306) welcomes The Hot Dog Guy, a new vendor set to open in July. The unmistakable sights, sounds, smells and tastes of a traditional Chicago hot dog stand will soon infuse the downtown French Market with a bit of traditional Chicago flavor. The Hot Dog Guy, Chicago’s own Grant Greenberg, is serving up hot dogs and Polish the way Chicagoans prefer: all Vienna Beef products on a poppy seed bun, tomato, onion, hot peppers, mustard, relish, celery salt, and a big pickle spear. He is committed to preserving the authentic Chicago atmosphere and food that goes along with it. Greenberg is the grandson of a Superdawg drive-in employee, who later opened a Chicago-area family deli of his own. He left a career in the corporate world to carry on the family's long-standing passion of Chicago comfort food. Delivering high-quality products and personality is the recipe for success that was passed down to Greenberg from his grandfather. Greenberg, a master of the “Art of the Cart” and graduate of Hot Dog University, is eager to line up alongside the Chicago French Market’s wonderful vendors and restaurants. The Hot Dog Guy’s grand opening is set for early July in the Metra-Market at Ogilvie Transportation Center. Westfield Old Orchard's WFamily series presents "Summertime Fun" July 7! Summer is officially here and Westfield Old Orchard (Skokie Boulevard & Old Orchard Road) wants to celebrate by taking you down to the shore. Saturday, July 7 from 11:30 a.m. -12: 30 p.m., Westfield’s Wfamily series will present its monthly hour-long story time and craft session for North Shore and Chicagoland families and their youngsters. 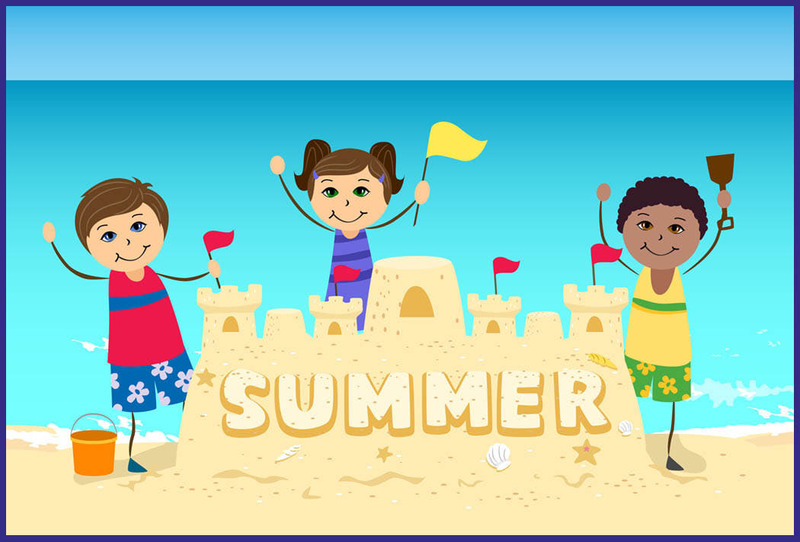 This month, families will enjoy a beach themed program entitled “Summertime Fun” with a reading presented by a staff member from the Skokie Public Library featuring a story about visiting the shoreline and an arts and craft project using beach sands. Bring the family to the Westifield’s Barnes & Noble for the fun in the sun themed event. This event is complimentary and registration is not required.